Not much happened for NerdLush in the way of scares this year. There was a friendly movie night with screenings of Slither and Cabin in the Woods, but that was pretty much it until this weekend when on vacation to the city of Angels. 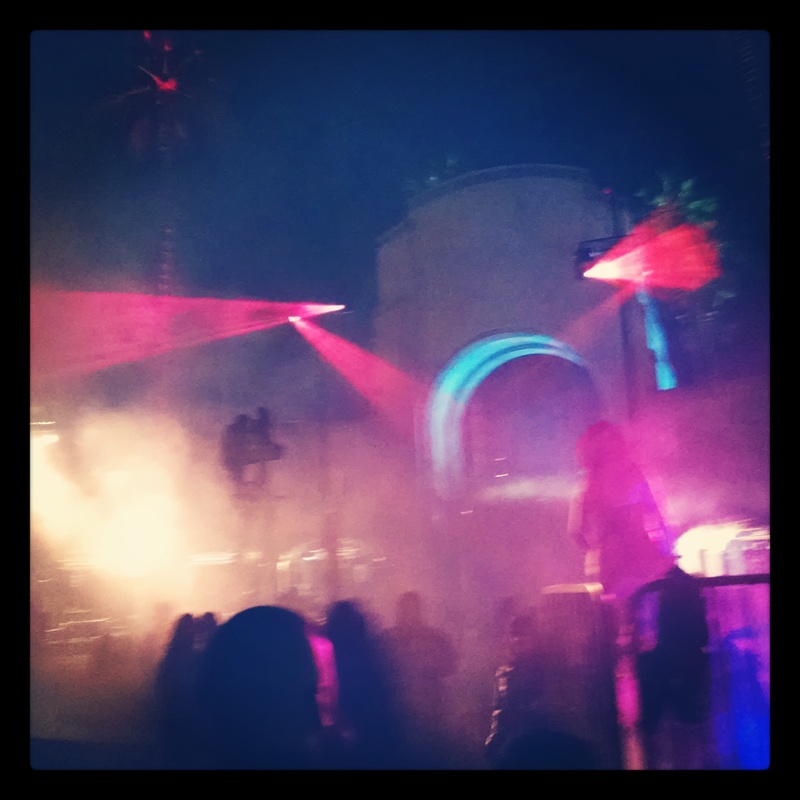 A visit to the entertainment capitol of the world- or at least that’s the claim- came full of shrieks and screams as Universal Studios Hollywood was once again transformed into “Halloween Horror Nights”. Of the four in the party, all but one had been before, and two were not fans of things jumping out and scaring them. 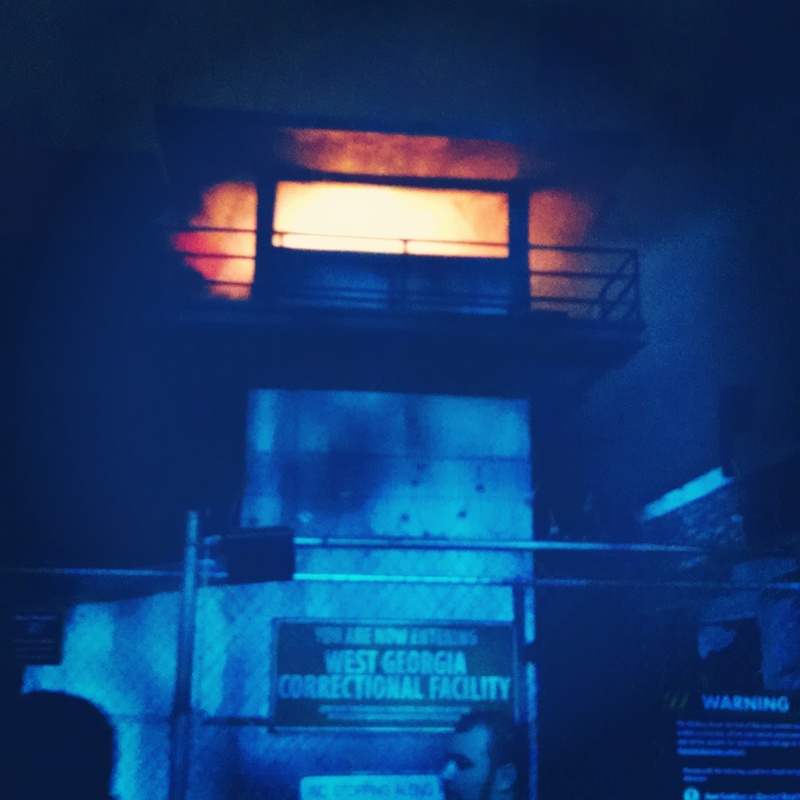 But the end report from all four was that it was a good and fun evening of scares. With knowledge honed over several years we had front-of-line passes (a bit more expensive than the standard pass but the benefits are extremely worth it) and headed immediately to the lower lot to start with the mazes and rides there. Followed up by a logical path on the upper lot, we finished the entire park before midnight and were able to return home before turning into pumpkins. 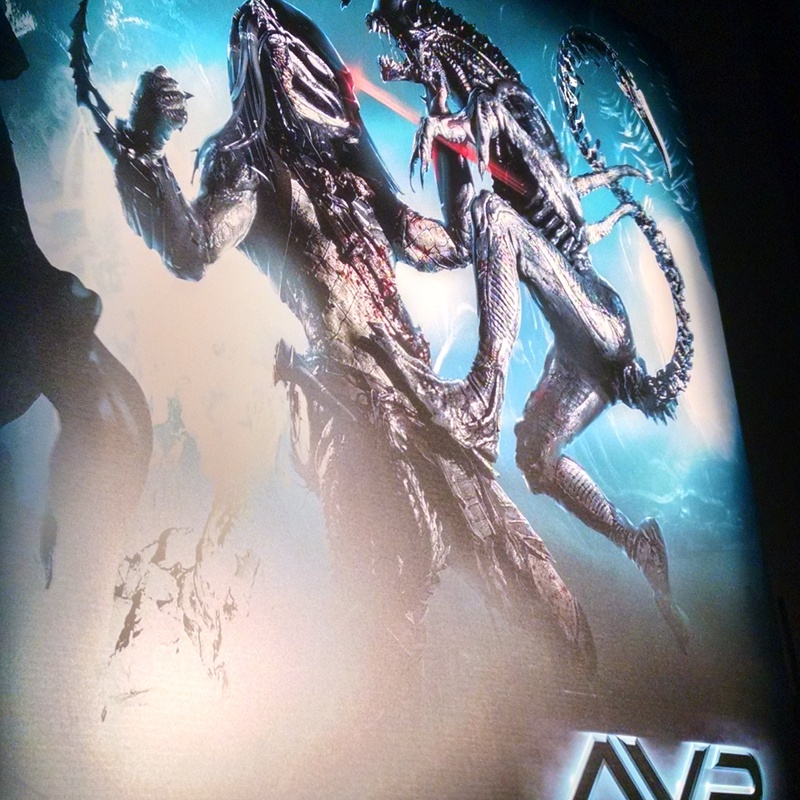 This year HHN offered mazes designed after The Walking Dead, Aliens vs Predators, From Dusk til Dawn, American Werewolf in London, Clowns 3D, Dracula Undead, Faceoff, and the traditional Terror Tram. Also available were the Simpsons Ride, Despicable Me, Jurassic Park, the Mummy, and the Transformers. Sadly, there were no stunt shows or the awesome Bill and Ted show, which has an annual mockage of the years pop and political cultures. The favorite maze was American Werewolf as the mix of scare-actors and animatronics provided a solid balance of scares. It would’ve been nice to have a few more costumed folks in Aliens vs Predators, as that maze seemed to rely more on electronic scares. Something that feels artificial more often than not. Even when popping out at you from the dark. 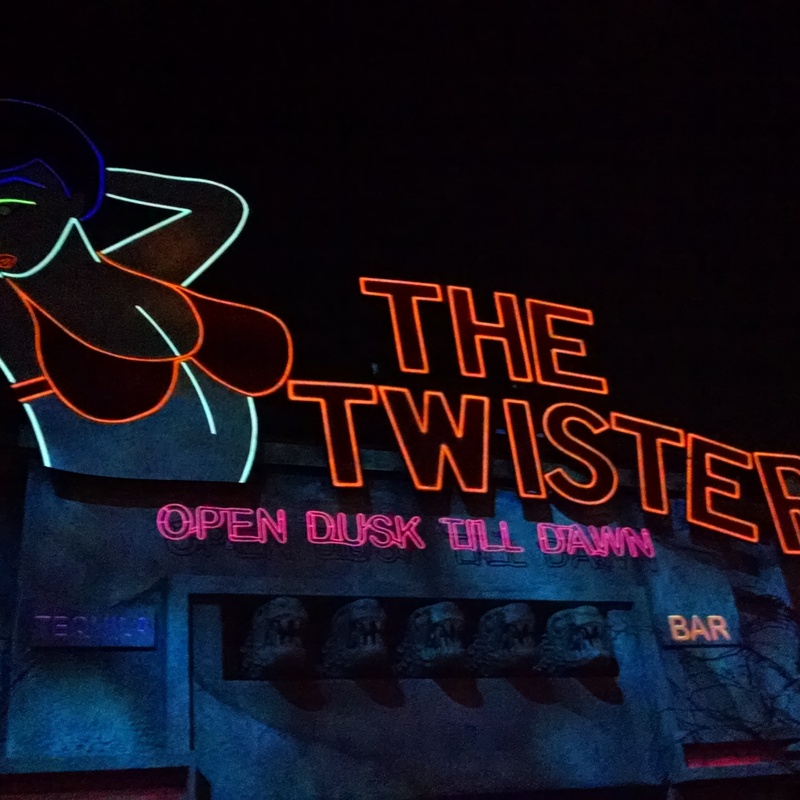 From Dusk til Dawn was another good maze as visitors wandered through the namesake bar, coming upon vampire strippers and the like. There were a few spots where a scare-actor in place of one of the “corpses” on the floor or table would’ve been a good fright. The Faceoff maze utilized the old “classic monsters” maze. Good fun. However, we wanted the opportunity to actually see more details on some of the masks/costumes… hopefully there are pictures somewhere! The rides were fun, as usual. We wandered on Jurassic Park as one member had never been on- this is the only thing in the entire park/event that actually scares me. That damn drop at the end. But we survived. And without getting wet. Transformers and the rest continue to be enjoyable.